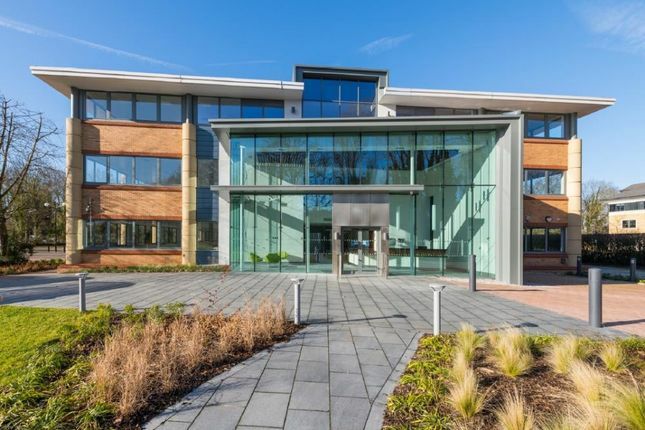 Blake House is a self-contained, 3 storey, detached office building situated on Cowley Business Park. The property is undergoing a re-development including an extension to the rear which will encompass a refurbishment of all floors and a new glazed reception extension. Blake House is located on Cowley Business Park which is accessed directly from Cowley Road (A408) and is situated south of Uxbridge town centre. Uxbridge, is located 19 miles west of Central London with excellent communications infrastructure. By road, the property is situated just off Junction 1 of the M40,1 mile from the M25 and 4 miles north of the M4. London’s Heathrow Airport lies approximately 5 miles to the south. The property is easily accessible from Uxbridge Underground Station which provides excellent links to Central London via the Metropolitan and Piccadilly line (45 minute journey time). Direct main line access to London is provided from nearby Stations, West Drayton and Hayes (approximate 20 minute journey time).